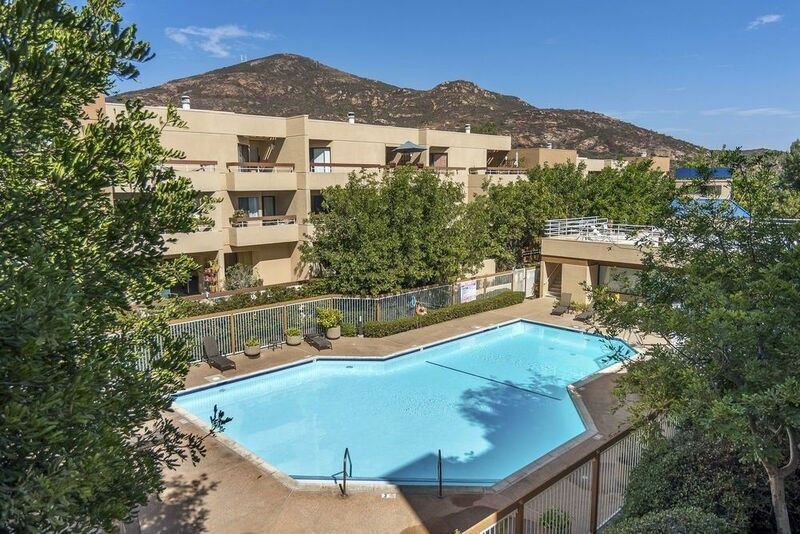 Nice 2 bedroom 2 bath condo with view of Cowles Mountain. Spacious living room with dining area and kitchen has a breakfast area. Granite counters in the kitchen, refrigerator, and full-size washer/dryer. Balcony off the living room with great view. Elevator access from all floors and garage. One parking space in underground garage and one additional space first come/first serve. Complex features pool, spa and clubhouse. Near shopping, hiking trails. HOA fee includes water ! Directions To Property: Navajo a 1/2 block from Golfcrest.